TRENTON, New Jersey -- Democrat Phil Murphy beat Republican Lt. Gov. Kim Guadagno in the election to replace the two-term, term-limited incumbent Governor Chris Christie, in an ABC News projection. Polls closed at 8 p.m. New Jersey and Virginia are the only states electing governors this year. Murphy had racked up a double-digit lead in polls and cast himself as a check on unpopular Republican President Donald Trump and pinned his campaign on Christie's low approval ratings. He linked Guadagno to Christie at nearly every opportunity. Trump lost New Jersey last year by 14 points and Christie's image suffered a downgrade after the 2013 George Washington Bridge lane-closing scandal and a failed presidential run that saw him frequently leaving the state to campaign. That, coupled with New Jersey's nearly 900,000 Democratic voter registration and a huge cash advantage, had Guadagno running as an underdog in a state that she helped govern as Christie's deputy for the past eight years. Murphy, 60, is a wealthy former Goldman Sachs executive who loaned his primary campaign $16 million. He led the firm's operations in Hong Kong and Germany before President Barack Obama tapped him to serve as the United States' ambassador to Germany in 2009. He has never held elected office before. Murphy is a resident of Middletown in Monmouth County. On the issues, Murphy has promised to establish a public bank of New Jersey and has prioritized school, pension and transportation funding. He says he would legalize and tax marijuana as well as re-institute a Jon Corzine-era millionaires tax to help finance his promises. 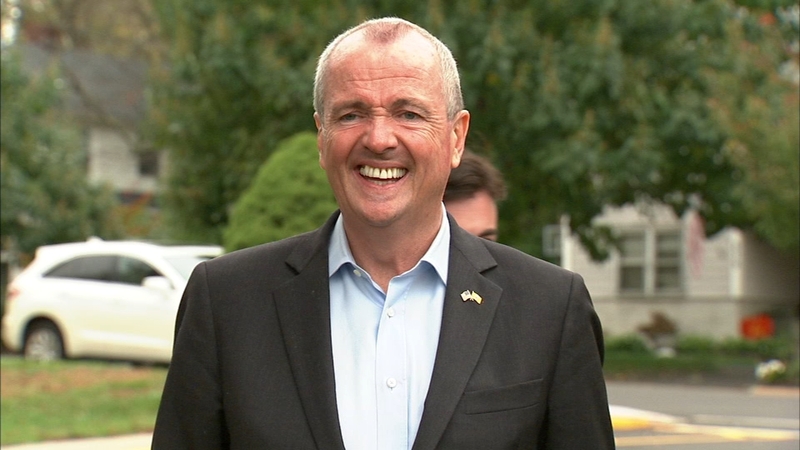 Toni Yates reports on the race for New Jersey's next governor.